Produktinformationen "Korean Culture Series 8 - Buddhist Sculpture of Korea"
Description: Buddhist culture and thought have had a tremendous impact on the lives and thought of Korean people ever since the religion was introduced to the Korean peninsula in the late fourth century. Most of the time, the religion received strong state support for the construction of temples and pagodas and the making of Buddhist images for worship. At times, the religion encountered opposition, often for political reasons, but it continued to play an important role in the cultural and religious activities of the various strata of Korean society from the time of its introduction and it continues to remain in the mind of modern Koreans as well. Most of the research on Korean Buddhist sculpture is in Korean and some in Japanese, but very little in English. Therefore, this work is a significant resource for those interested in studying Korean Buddhist art. The author has tried to put Korean sculpture in the context of history, Buddhist teachings and iconography and makes stylistic comparisons with relevant examples from neighboring countries. 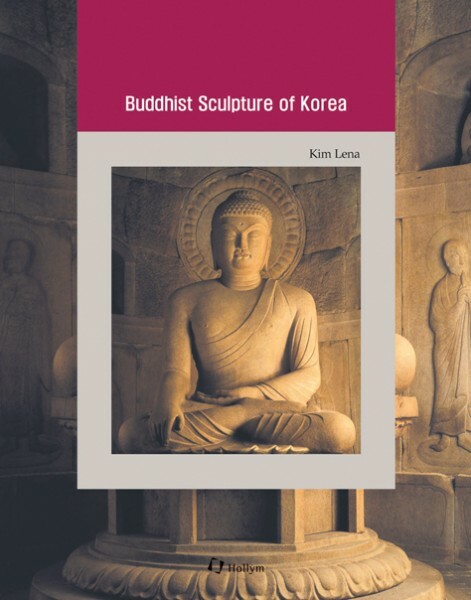 This is a first of its kind work that will educate readers who are new to the unique qualities of Korean Buddhist sculpture, as well as provide helpful references to many of the scholarly articles written in Korean. Professor Lena Kim majored in History at Seoul National University, and studied Art History at the Graduate School of Harvard University and received her Ph.D. in 1972. A Professor of Korean Art and Buddhist Art at Hongik University, in Seoul, she has since retired, as of February 2007. Today, she actively participates in a variety of art history-related projects, along with serving as a member of the Advisory Committee of Cultural Properties Administration and ICOMOS-Korea. Professor Kim has written several books and a number of articles, on the comparative analysis of Korea’s Buddhist sculptures, in Korean and Japanese as well as English. Weiterführende Links zu "Korean Culture Series 8 - Buddhist Sculpture of Korea"
Unser Kommentar zu "Korean Culture Series 8 - Buddhist Sculpture of Korea"
Kundenbewertungen für "Korean Culture Series 8 - Buddhist Sculpture of Korea"